Our Blog Why Do Parrots (And People) Eat Clay? Why Do Parrots (And People) Eat Clay? This article was posted by npr.org and I have reposted it here as it is very interesting research that shows why we like to eat dirt! 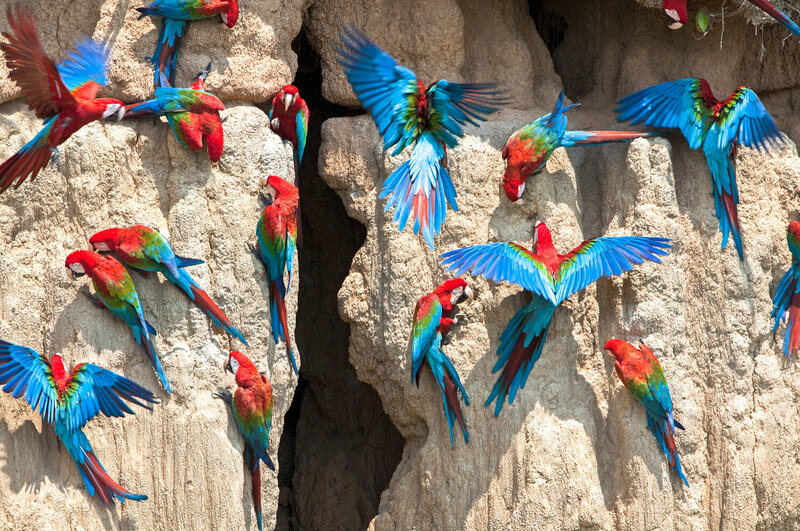 Parrots at an exposed cliff in Peru, where they gather to eat clay, which is richer in sodium than plants in the area. The parrots of Southeastern Peru crave an earthy delicacy: dirt. At the Colorado clay lick, a cliff face rising above the Tambopata River in the western Amazon Basin, parrots — often hundreds at a time from up to 18 species — gather each day to feast on sun-hardened clay. "It's a real spectacle of both sight and sound," says biologist Donald Brightsmith of Texas A&M University. As director of the Tambopata Macaw Project, Brightsmith has spent 16 years leading researchers and volunteers who record the comings and goings of these hungry parrots. Their goal, in part, is to get to the bottom of what drives this earth-eating habit, which occurs throughout the region. In a recent paper in the journal Ibis, Brightsmith and colleagues report results from over 20,000 hours of parrot observations stretched over 13 years. The findings suggest that clay may give parrots the nutritional boost they need to rear their young. There are two main hypotheses for why Peruvian parrots practice geophagy — the intentional consumption of soil. The first is that clay is a natural detox treatment. When food is limited and safer plants are in short supply, clay could help birds eat the more toxic plants that remain. Indeed, some laboratory experiments have shown that clay could bind to toxins, keeping them out of a parrot's bloodstream. The other hypothesis is that clay contributes vital minerals that a parrot's plant-based diet lacks. Brightsmith previously showed, for example, that parrot geophagy is concentrated in moist tropical forests where sodium — critical for nerve function and muscle contraction — is quickly washed from the ecosystem, except where it's stored in hard clay. Amazonian clay lick soils typically contain levels of sodium 40 times greater than the parrots' plant foods. To test both hypotheses, the team studied how the clay-eating observation data matched up with other long-term data sets on food availability and breeding times. The team found no evidence to support the toxin-protection hypothesis — parrots actually ate clay more often when food was plentiful. But their analysis did support the idea that clay works as a nutrient supplement for the birds. For every one of the nine parrot species studied, clay eating peaked during the breeding season, and was especially prominent as parents fed new hatchlings. "It's a time of nutritional stress, especially for the females," says coauthor Elizabeth Hobson, a behavioral ecologist and postdoctoral fellow at the Santa Fe Institute. The mothers need more energy to produce eggs and enough nutrients to feed both their chicks and themselves. "Sodium is one thing that is very obviously missing from their diet, so in a time of stress, they may need more of that." Brightsmith isn't surprised by these results. "Parrots eat toxic foods all over the world, but they only eat clay soils in select areas," he says. "All of the evidence keeps lining up that what is driving this is sodium, not toxins." Many other animals, including elephants, bats and primates, also eat dirt. Field biologist Mrinalini Watsa, a postdoctoral fellow at the University of Missouri-St. Louis, says that in all of these cases, scientists are testing the same basic detox-versus-nutrients hypotheses. "The data set that this paper used is absolutely incredible to be able to answer that," says Watsa. "Nothing like that exists for the primates that I study." 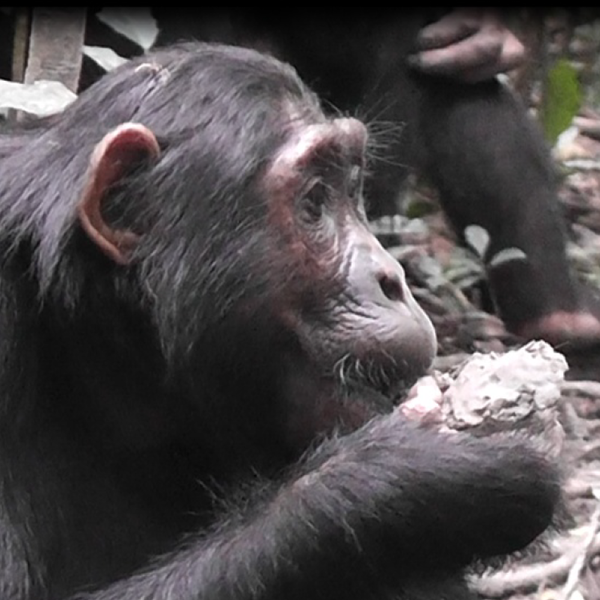 Watsa is exploring why saki monkeys eat soils from termite mounds. She works in the same region of Peru as the parrot researchers, but she's already ruled out the sodium explanation for her species because she didn't find high levels of the mineral in the mounds. Nutritional anthropologist Sera Young of Northwestern University studies geophagy in another species: humans, particularly the pregnant sort. In her book Craving Earth: Understanding Pica—the Urge to Eat Clay, Starch, Ice, and Chalk, Young cites reports of pregnant women eating earth across the globe — from Tanzania and Iran to Mexico and the United States. "Pregnant women are the hallmark of geophagy," she says. There are real risks associated with the practice. Some soil is laden with contaminants like lead. And eating too much soil can replace other vital foods in a diet. So why would pregnant women do it? No one knows for sure. While some researchers attribute the practice to culture, others suggest similar hypotheses to the ones scientists are testing in animals. "The salt explanation doesn't hold water for explaining human geophagy," says Young, since human diets are typically not salt deprived. Pregnant women and parrot mothers may not crave clay for the same reasons. And even with the parrots, Young would like to see the researchers follow up their study with a more direct test using controlled lab experiments. Hobson agrees that her team's results, as with all correlational studies, should be taken with "a grain of salt." 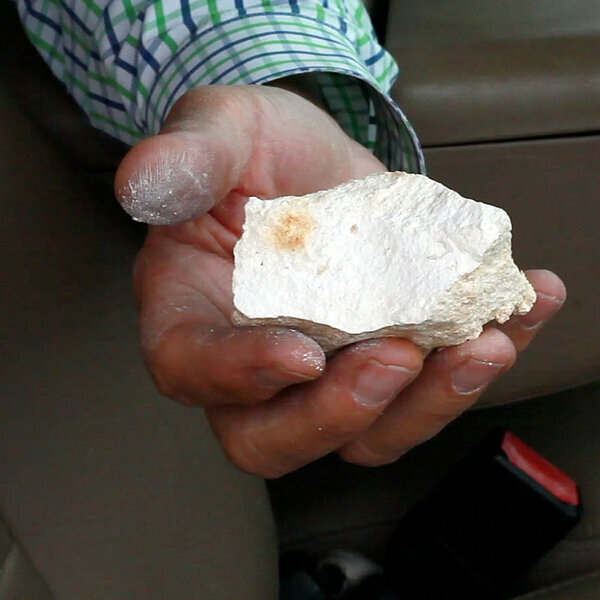 They didn't test, for example, how the birds react when given chunks of clay that differ only in sodium content. Brightsmith says they are working toward setting up controlled studies using captive birds in the future. Of course, one advantage Young has over the animal researchers is that she can ask her study subjects directly why they eat clay: "They talk about the texture and the smell," she says. "Then they say, 'I like the taste. But what compels me is the smell of damp earth. My mouth just wants it.'" Carolyn Beans is a freelance science journalist living in Washington, D.C. She specializes in ecology, evolution, and health.